The Western Suburbs Magpies put one in the win column with an opening day 2-1 triumph over the St. George Dragons. The crowd at Liverpool Fields watched Jeff Anketell put on a fine performance, for which he was named player of the game. Tristan Sandbach, who is a four-time All-Star, chipped in for Western Suburbs with a solo home run in the bottom of the 11th. 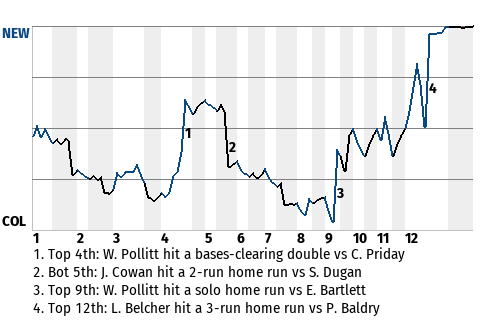 For the game, the right fielder had 3 hits in 5 at-bats with 1 home run, 2 singles, 1 run scored, and 1 run batted in. "We'll grab a cold one tonight and go after another win tomorrow," Sandbach said.